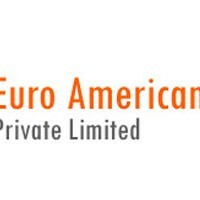 Euro American Educare P. Ltd. is government registered educational consultancy. It is also a tuition provider in entry level courses like the TOEFL, IELTS, SAT, GRE and GMAT. They provide placement for students in a plethora of educational institutes in a vast variety of locations. EAE is located in New Baneshwor, an uptown locality in the capital, Kathmandu. EAE stands for trust, integrity quality and unswerving commitment to the aspirations of its students. EAE is not only one of the best Abroad Studies Consultancy in Nepal; it is also one of the most qualitative Institutions too. With a ‘functional’ network in four continents that is the envy of many a consultancy in Nepal, EAE is the company with the largest scope and largest wingspan in Nepal. EAE is more of a mindset than an institute. It is this mindset of inspiring trust, possessing integrity, providing quality and harboring unswerving commitment that had seen in Education Consultancy Industry. They employ a group of motivated and energetic staff, counselors and instructors, with sound expertise in their respective fields. These people earn them their reputation for professionalism, reliability and courtesy. At EAE, they believe in efficient teamwork. They emphasize a harmonious environment both in the office among office staff and among their students and information seekers. Within this atmosphere, everyone can get the desired work accomplished to their full capacity. To date they have sent more than three hundred students to their chosen academic destinations abroad, paving the pathway to accomplishing their academic pursuits. At EAE, they strive for perfection, helping students make optimum use of their abilities while taking them closer to academic opportunities around the globe. They aim to make this institution the best nexus between foreign Universities/Colleges and the Nepalese students.